Step 1: Open Windows Live. 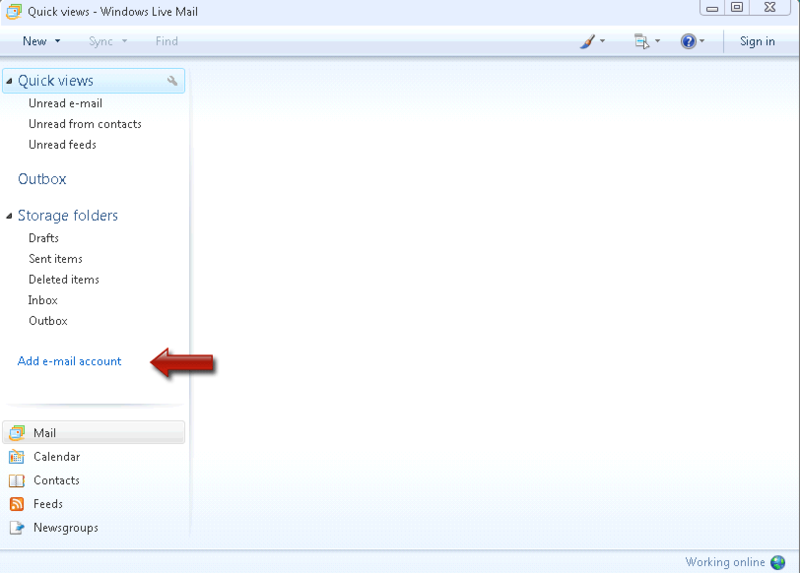 Do this by either double-clicking the desktop icon, or clicking Windows Live in the Start menu. 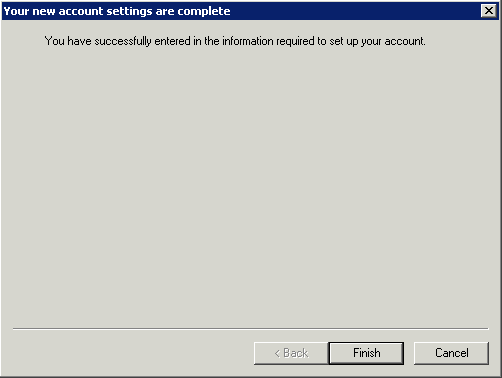 Step 2: If the New "Add an E-mail Account" screen appears, skip to step 3. Otherwise, click on "Add e-mail account" (as shown). Step 3: Enter your E-mail address and password. Check "Remember password" if you do not wish to enter it every time you check for new messages. Enter your Display Name, check "Manually Configure server settings", then click Next. 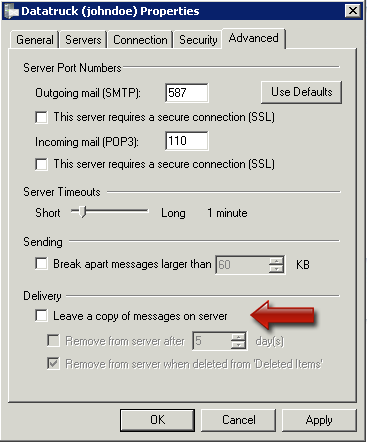 Step 4: Incoming mail server type is POP3. 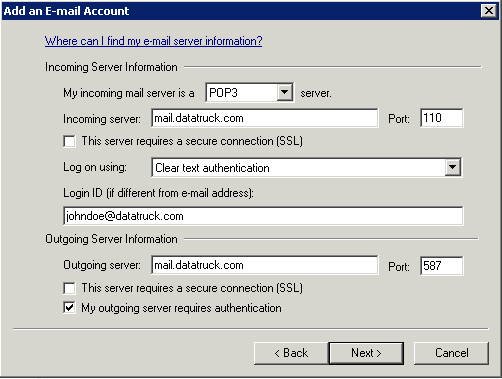 Enter "mail.datatruck.com" as Incoming server, Port is 110. 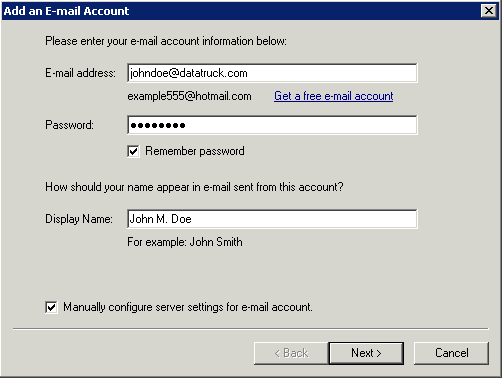 Log in using "Clear text authentication", and ensure your Logon ID is the same as your e-mail address. 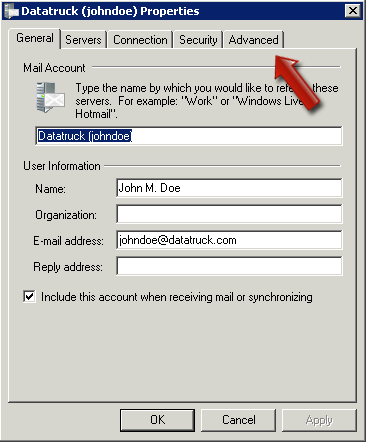 Enter "mail.datatruck.com" as Outgoing server, and change Port to 587. Check "My outgoing server requires authentication". Do not check either of the "Server requires secure connection" boxes. Click Next. Step 5: You should now see the completed screen. Click Finish, but we're not done quite yet! 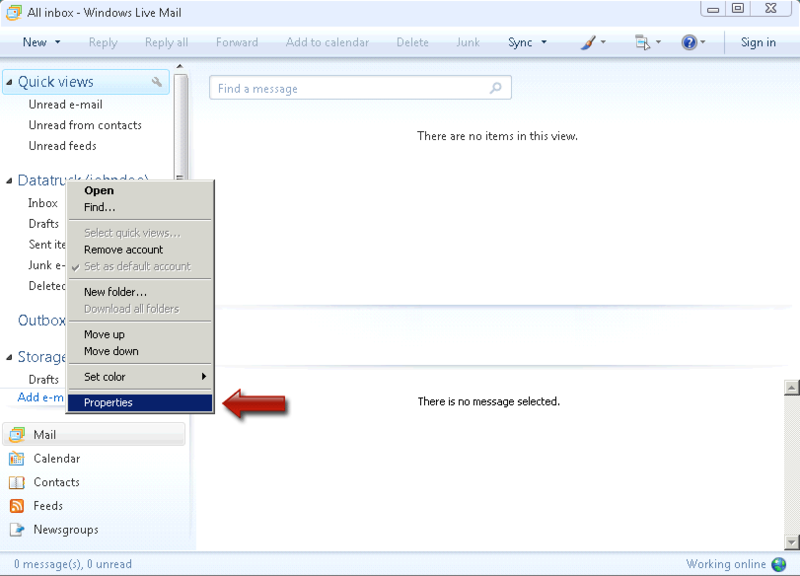 Step 6: You will now see the main screen, and your new email account should be shown on the left column. Right-click on "Datatruck" and you will see a menu. Click "Properties". Step 7: The Properties window will be shown. Click the Advanced tab. If "Leave a copy of messages on server" is checked, click to remove it. That's It! 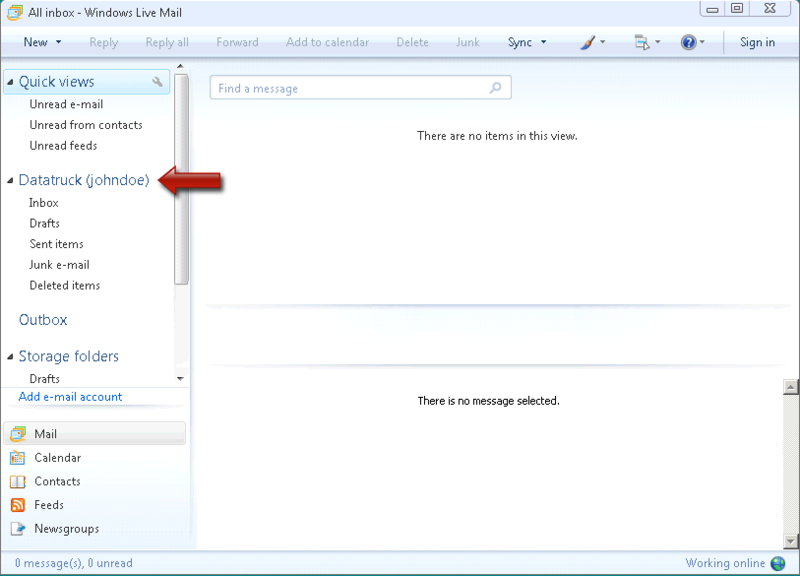 Click "OK" to return to the main Windows Live Mail screen. Your e-mail account is ready to use. Click here to return to Data Truck.